Genetic testing companies are doing great business- people are even paying to have genetic studies done on their dogs. This is a boon to researchers, as a new study used 6,000 such canine genetic profiles with permission of the dog owners. 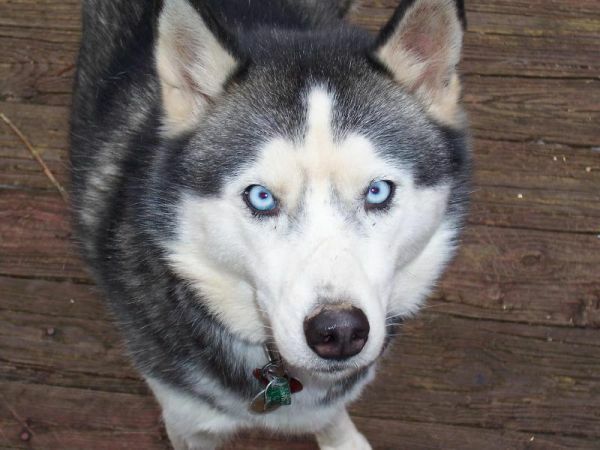 Adam Boyko and Aaron Sams of Embark Veterinary, Inc. were able to pinpoint the source of blue eyes in Siberian huskies. When a scientist asks why, the answer is a gene mutation that they can pinpoint. The rest of us want to know why that mutation became dominant for the breed as a whole. Maybe we’ll find out eventually. Read more about the research at Smithsonian.